This is the Giant Airplant or ‘Tillandsia Fasciculata’. An epiphytic bromeliad. I found this plant around the inland Blue Holes of South Andros Island in the Bahamas. 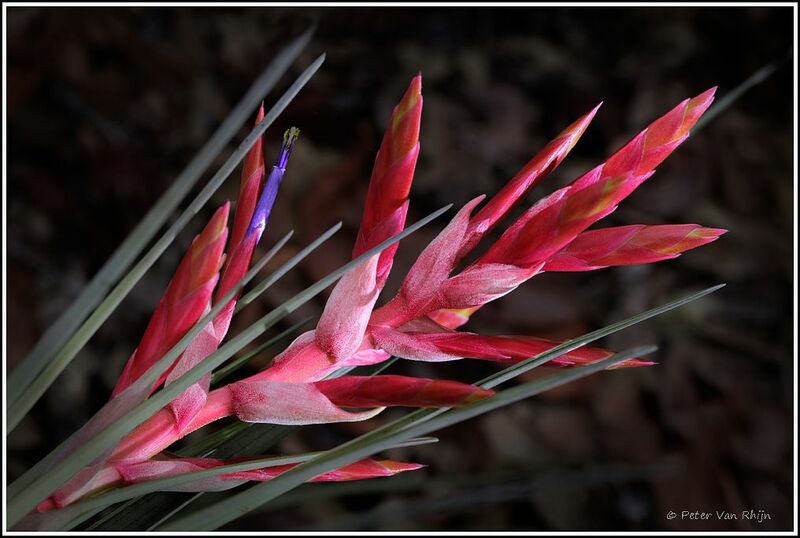 The most common habitat for Bromeliads, generally, is in the highlands of the Andes and in the cloud forests of South and Central America. I had a job photographing this 20cm blossom because most flowers were almost on the ground with bright and sharp spikes of limestone surrounding them. I waited until late in the day and then used selective lighting to separate this one from its busy background. In Photoshop I also added a mild vignette to further reduce distractions. I used a 1000 Lumen Fenix spotlight mounted on mini tripod at approx. 5 ft. to the subject.